Yours truly will go to China today for two weeks to intercept the phenomenon from the headline in Xinjiang and it is not clear (yet) whether continuing to update this blog will be possible on the road. Thus the sky highlights of August 2008 come to you already today. Aug. 1: Total Eclipse of the Sun in Greenland, Canada, Russia and China - there's more info here and esp. here while webcasts are/will be linked here and here and there are already blogs of folks going to Mongolia and Siberia. 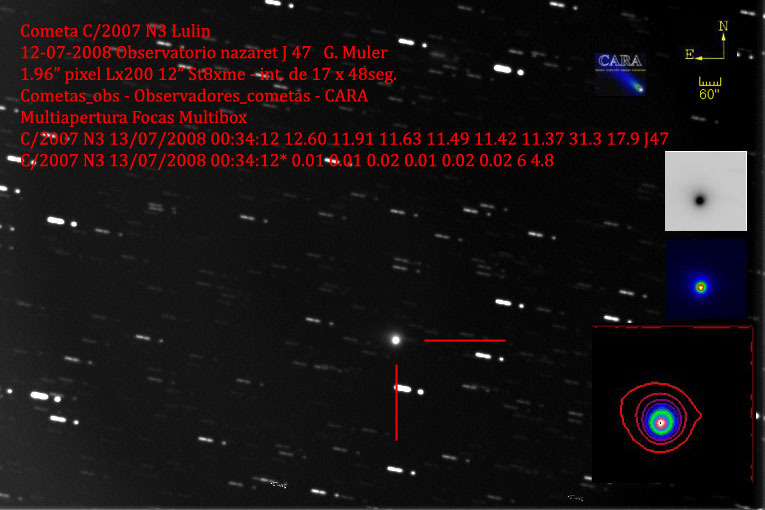 Aug. 2: Very young Moon 4° from Venus; evening apparition of the latter get's going. Aug. 5: Venus near Regulus just after sunset. 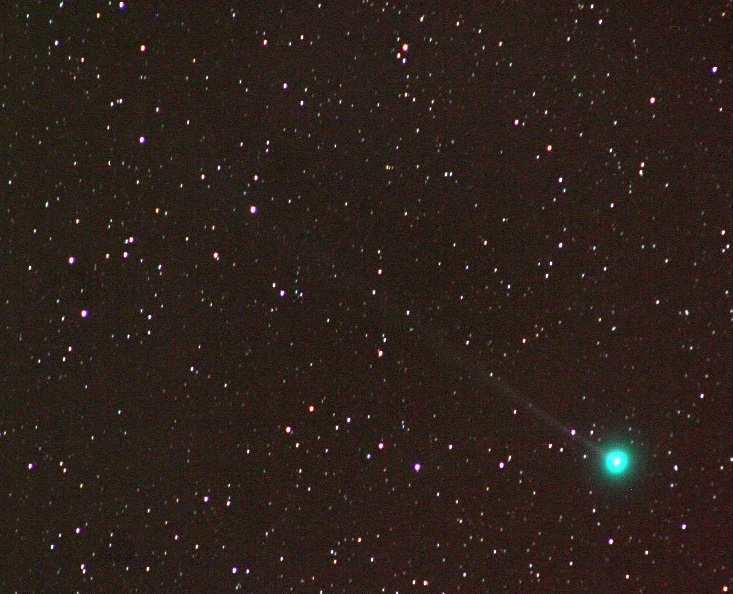 Aug. 12, around noonn UTC: Maximum of the Perseids (waxing Moon setting after midnight). Aug. 13: Venus just 0.2° from Saturn (telescope required). Aug. 15: Neptune in opposition at 7.8 mag. in Cap. In other news the apparent survival of the Little Red Spot in Jupiter's clouds can be seen in images from July 18, July 17 and July 15 (lower-res views from that date here and here); a much-quoted Hubble press release on its demise was premature. More challenging Jovian sights? How about Amalthea with 80 cm? 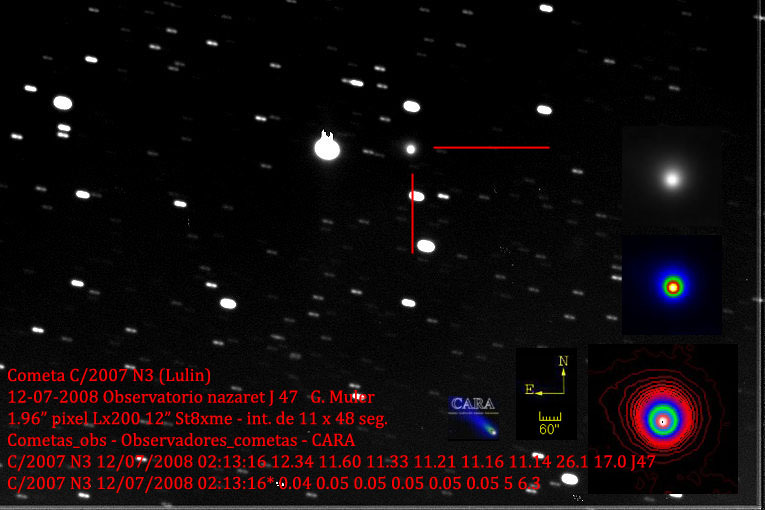 • The light curve of Boattini is going down; also pics of d'Arrest, Lulin and Chury. • A paper on next year's Epsilon Aur campaign and how to contribute with small equipment. • How a newspaper covered a green flash, and NLCs over Iran. • The Moon transits Earth as seen by EPOXI. And an ISS movie of July 14. In other news NASA's Wayne Hale recalls a solar flare scare on the ISS in 2006. 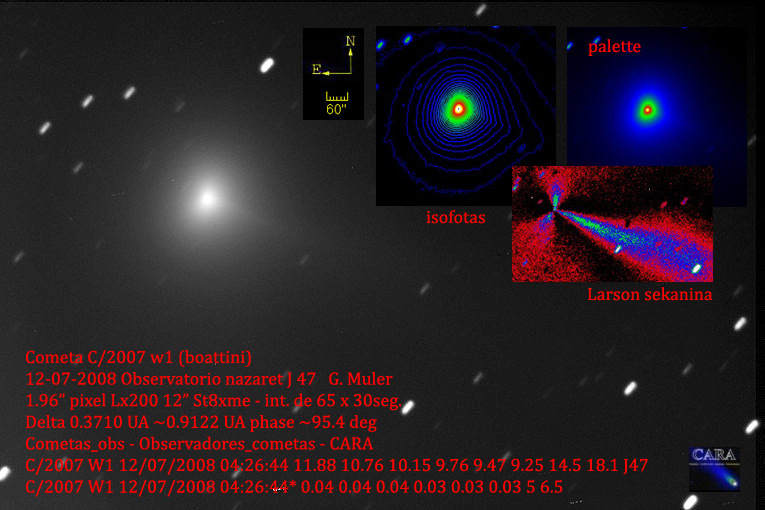 • There is a new candidate for the brightest star in the Galaxy. 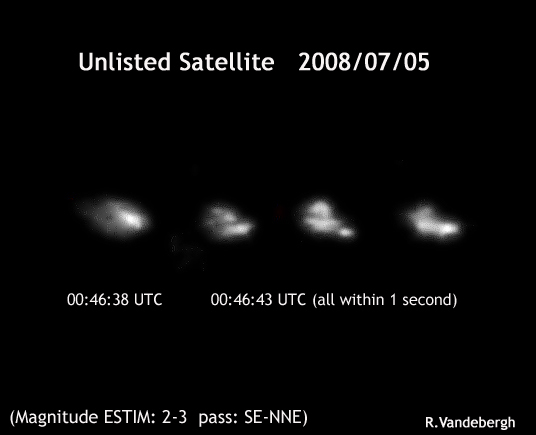 • And to look at: a movie clip of 2008 BT18 near Earth, heavy image processing of comet Boattini, apparently revealing a dust tail next to the ion tail, and hi-res images of the ISS from 14 July and 13 July showing well the new Columbus and Kibo modules. 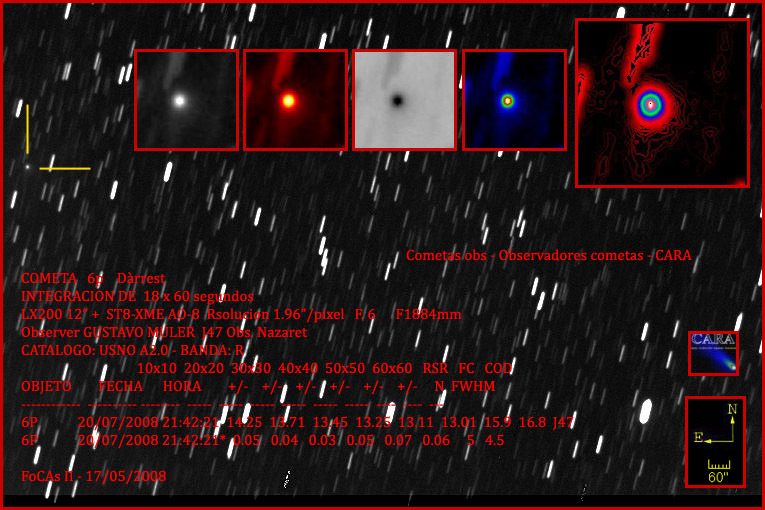 A binary asteroid discovered last winter, 2008 BT18, will approach Earth to within 0.1509 AU or 2.26 million kilometers later today (closest approach is around 14:00 UTC): nothing to worry about but a fine opportunity for intense radar imaging a few days ago. Visual observers have a harder time: Yesterday the phase angle was around 150°, with the asteroid very close to the Sun in Mon and CMa, now its moving away from the Sun's glare but rushing South. Today it moves through Lep and Col, in a few days it'll be at -50° declination. The brightness, at least, should stay rather constant around 13th mag. as more and more of its bright side is facing Earth. As usual these days - with raw images from (NASA) space missions being distributed in near-real time - it was an amateur who has created the first complete panorama around the Phoenix lander in color; there are still some minor flaws, but now you know where "we" stand. • In other planetary news Jupiter images of July 11 and July 10 show only remnants of the Little Red Spot which may have been severely damaged after all when it 'collided' with the other two red storms. • Also wide-angle views of the Mars/Saturn conjunction from July 10 in Austria and earlier in Australia plus from July 9, earlier pics and the view of July 5 with a fire in California. 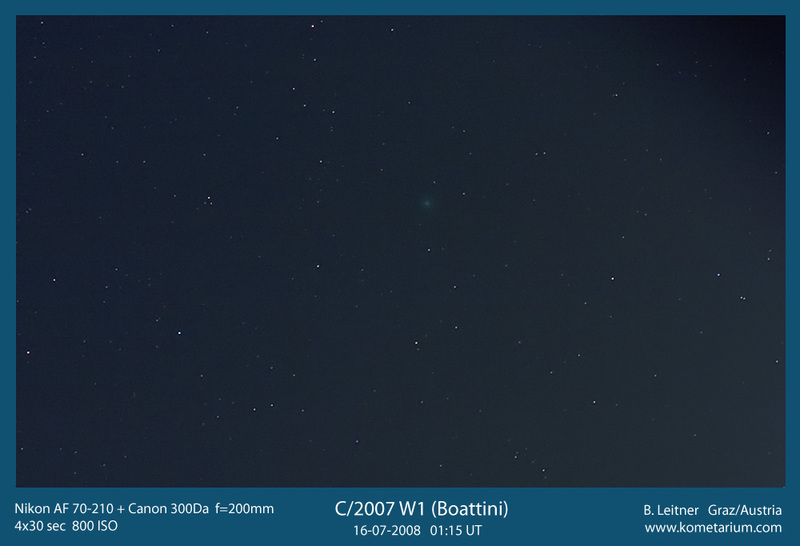 In other solar system news comet C/2007 W1 (Boattini) is back - though very low - for Northern observers who caught it well on July 11 (more and a wide-field view plus a visual report). • The Moon has been imaged with extreme libration, exposing the North Polar Region. • And there is no reason yet to worry about the long solar minimum. When a third, tiny "red spot" appeared in Jupiter's clouds this spring (mentioned here and in the Cosmic Mirror's header), it was clear from the windspeed pattern that the three would meet soon: What would that do to the smaller storms? As several hi-res amateur images collected by SpaceWeather show, the newest red one seems to have made it through inbetween the GRS and the Oval BA aka. Red Spot Junior. More images in the coming days will show whether it is 'unharmed'; meanwhile here are more and more and more images of the quadruple conjunction hailed in the last posting. In the Americas this show is still ahead, in Europe, Africa, Asia & Oz it's history: On the evening on July 6, the crescent Moon joined the planets Saturn and Mars - lined up with the bright star Regulus - for a nice celestial trio: Here are pictures taken by this blogger and others in Germany a few hours ago, while in Australia the view had been quite different, and two nights ago there was no Moon. 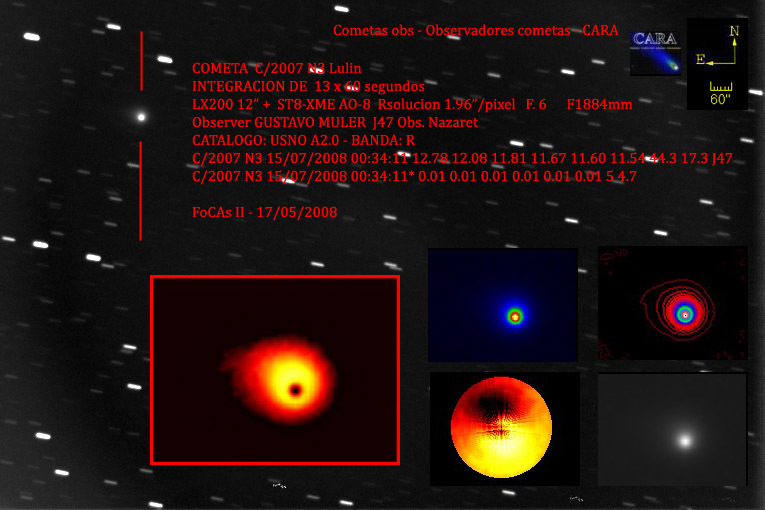 • Meanwhile Jupiter is near opposition and has been imaged frequently, e.g. 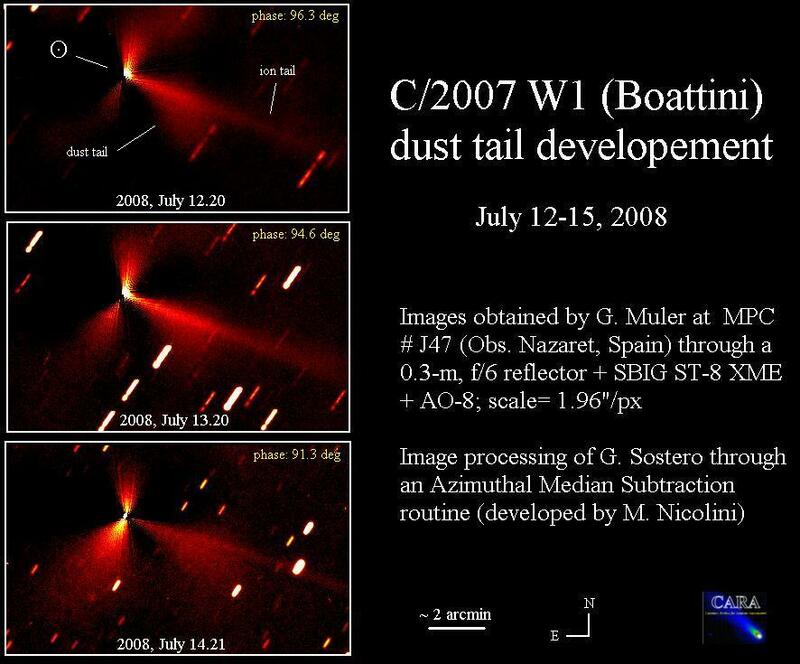 on July 6, July 3 (with Callisto and its shadow on the disk), July 1 (with Io and its shadow on the disk) and June 28. 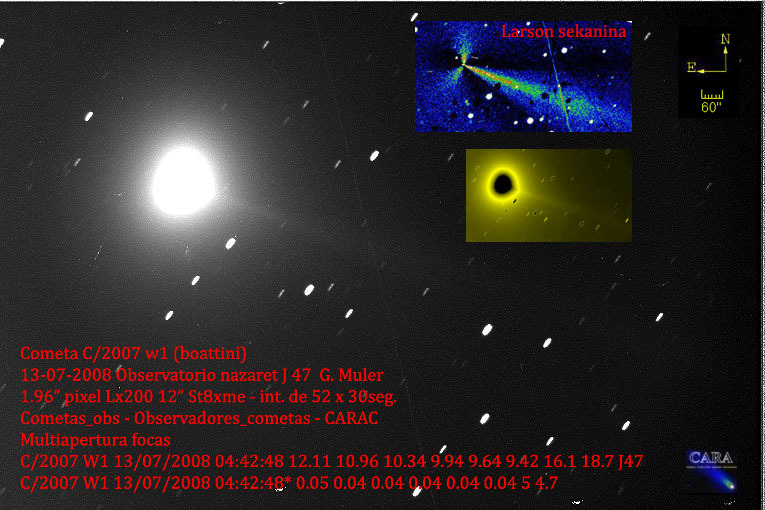 • And observations of Venus 1999 to 2006 appear in a report for the BAA.